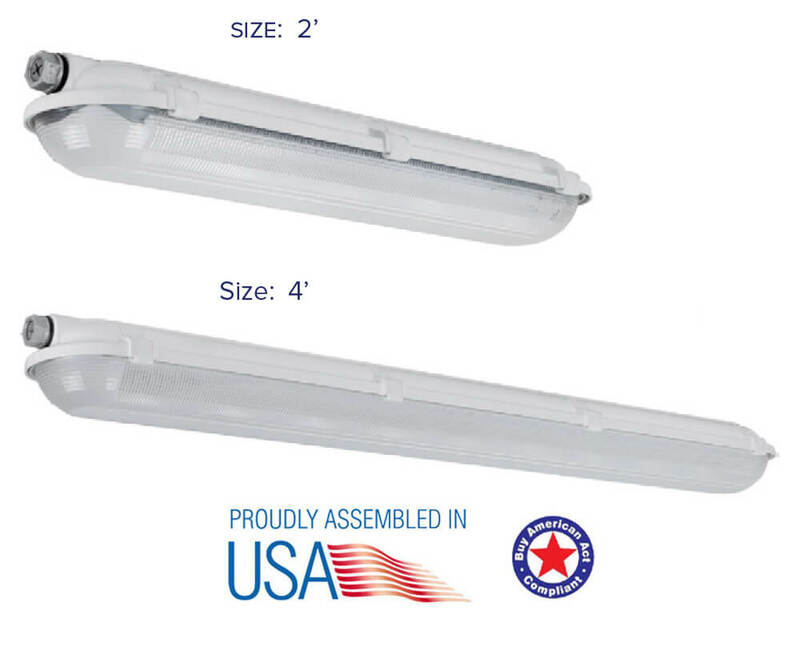 Patriot LED Vapor Tight Linear Fixtures are engineered for powerful lighting in harsh environments. 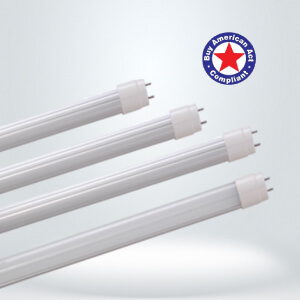 A vapor tight housing protects the light source from water and dirt, while new generation LEDs and drivers provide higher efficacy and greater energy savings. 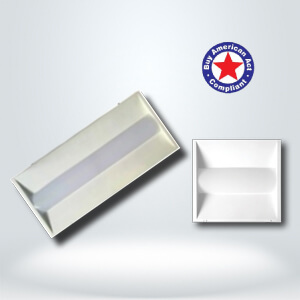 The IP66-rated fixtures are designed to replace less-efficient fluorescent strip lights in car wash operations, airports, tunnels, maintenance areas, parking garages and stairwells. Our GENERATION-2 VAPOR TIGHT LINEAR FIXTURES are backed with our industry-leading 100,000-hour rated lamp life and 10-year warranty. 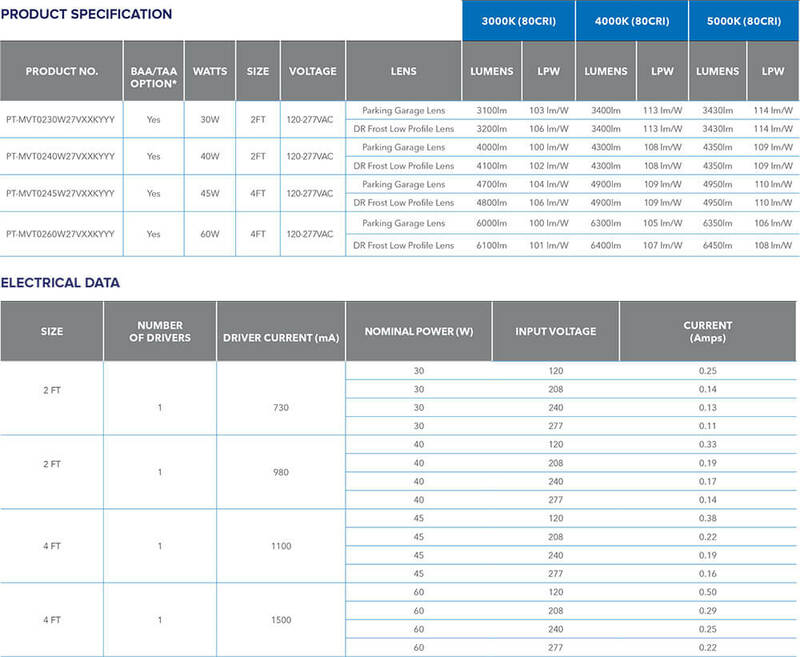 See Ordering Model table below for our BAA compliant products. Contact us for pricing or more information. Available with 2ft and 4ft as per applications. Truly UL 94 Flame Rating – 5VA rating on housing. PIR Sensor optional and supports Emergency Battery. 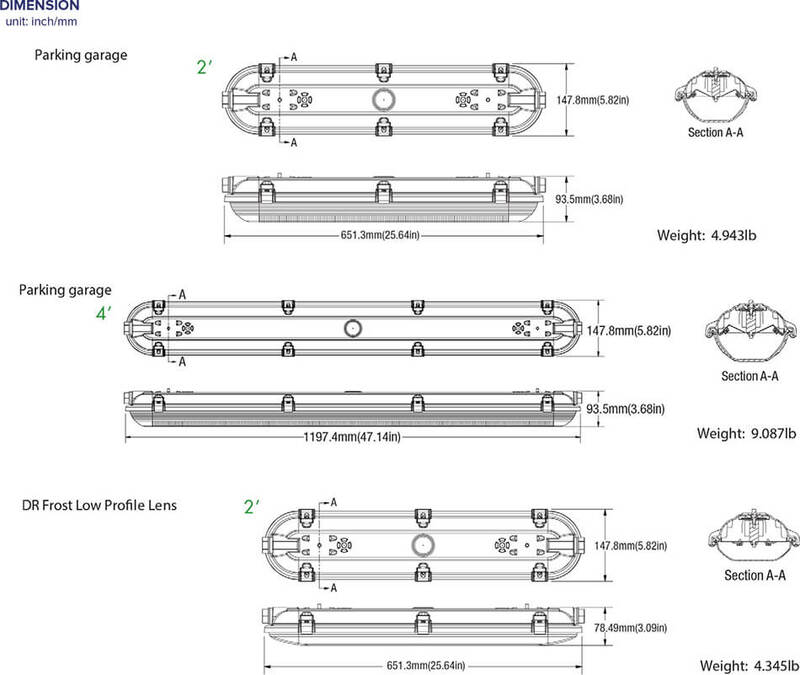 Optional DR frost low profile lens distribution or parking garage as per applications. Operating temperature is -40°C TO 45°C (-45°F to 113°). UL/cUL wet location listed and DLC qualified. Limited Warranty : 5 year (10yrs optional). 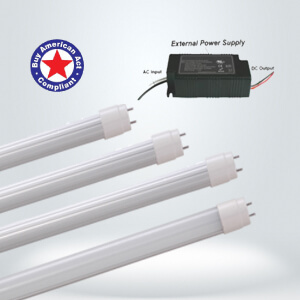 Long life LEDs lasting up to 100,000hours.